Although Cuba is home to some of the world’s best tobacco grown exclusively for cigars, it is a well-known fact that Cuban cigars are not legal in the United States. The embargo is more than five decades long and it is just as illegal to own a Cuban cigar as it is to buy them for import. Knowing this, cigar lovers have done their homework on thecigarcafe.com and know that there is little difference, even to the discerning palate, between cigars produced in the Dominican Republic and those produced in Cuba. If you are planning your summer vacation and are looking to combine a tour of the tobacco fields with some good old-fashioned R&R, these 5 Amazing countries should be on your vacation itinerary – at least once in a lifetime. Oddly, the Dominican Republic was the first country to make and market premium quality cigars, even though Cuba captured the market. Today, some of the world’s finest cigars are produced in this small island in the Caribbean. Not only can you tour the tobacco fields, but you can spend leisurely days basking in the sun on the island’s beautiful tropical beaches. Ah, Brazil! By all means, take your cigar-loving self to see some of the world’s greenest tobacco fields but don’t forget there is more green than tobacco fields in this amazing South American country. With more than 60% of the country covered in rainforest, it’s no wonder tobacco crops thrive in this warm, moist climate. While you’re there, why not try your hand (or feet as the case may be) at the Samba? Get that barrel roll down and you’ll be a hit on the dance floor when you return home. Both tobacco and rainforests are huge in Ecuador, this country in northwest South America. Did you know that the rainforest in Ecuador is also known for its biodiversity, and if you want to see some other amazing sights when touring the tobacco fields, you should take out the binoculars and do a bit of bird watching. Ecuador has more than 1200 species, and as if that wasn’t amazing enough, that’s more than double the known species in all of North America! When you think of Mexico you think of tropical resorts like Cancun, don’t you? If you are going to vacation close to home in North America, nothing beats Mexico. It’s not expensive to travel there and you will be able to stay in some of the world’s finest resorts. Contact the local tour guides to find a day tour of Mexico’s tobacco fields and production facilities. It’s well worth the effort for any self-respecting cigar lover. Not to be outdone by South America, Honduras in Central America also produces fine tobacco cultivated specifically for cigars. Tour the ruins of the ancient Mayans, visit the tobacco fields, but do be careful of the Zika virus. As it turns out, the CDC has pinpointed Honduras as ground zero for the breeding ground of mosquitos that brought this virus northwards to the United States. However, unless you are elderly, infirm or pregnant, you will usually only suffer a bit of a rash and joint pain of about a week’s duration. So, you can clearly see that Cuba does have leading rivals to contend with. 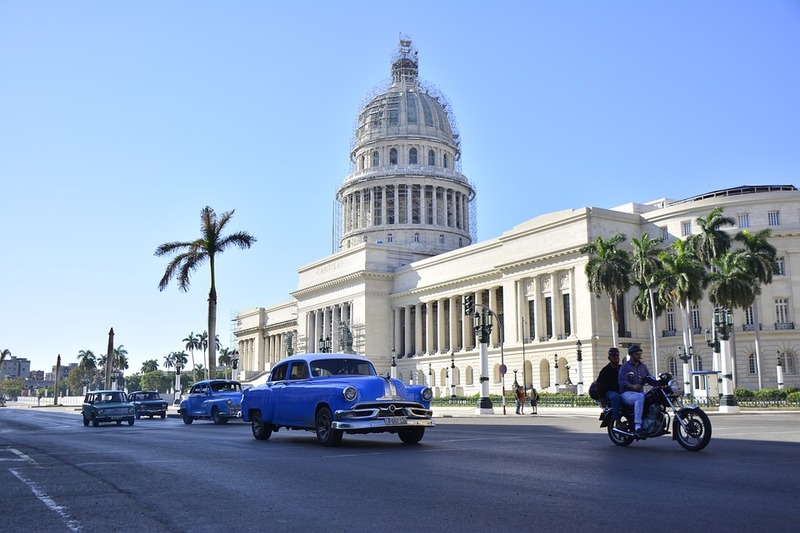 Even if you visit Cuba, which is now a possibility, Cuban cigars are still contraband so why not visit these 5 ‘safe’ countries that also produce many of the world’s finest cigars.